Mother’s Day isn’t too far away now and I wanted to share a card I made that coordinates with my recent loaded envelope project. 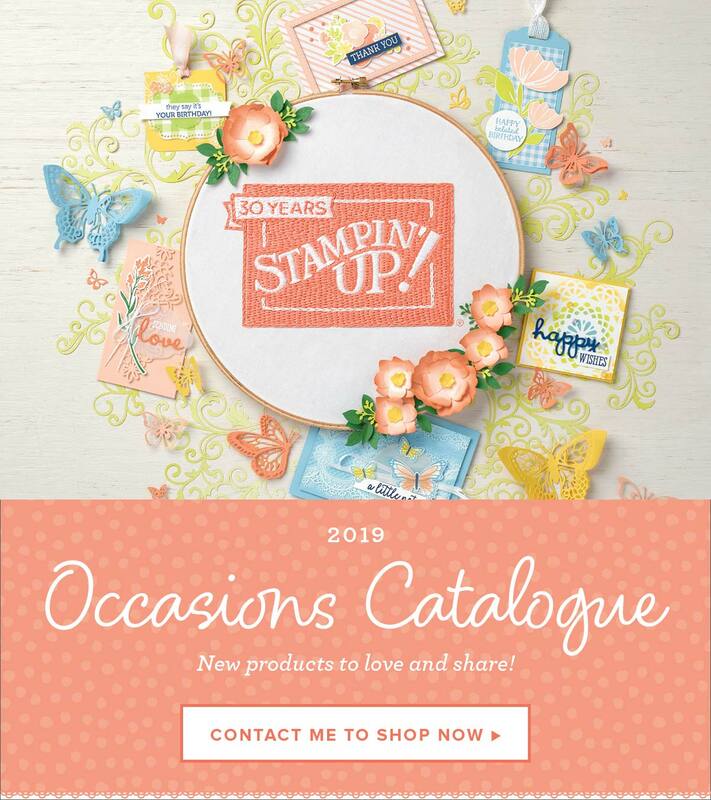 It uses the same Cupcake and Carousels DSP (retiring), I’ve just loved this paper so much and want to use up as much as possible before it retires and I want a whole bunch of coordinated goodies to send to my mum. I added half a Delicate White Doily to one edge to add to the feminine vintage style I was aiming for and a couple of banners with a stamped sentiment tie in nicely with the diamond pattern on the DSP but I think my favourite part are the die cut flowers. I used the *new* Eastern Medallion Thinlits to die cut these and I love how they look in the DSP, so pretty. I really needed something substantial to fill the centres of my flowers but didn’t have anything big enough, so I just built a bigger embellishment using the Basics Pearls (retiring – SOLD OUT). Note: Even though the pearls and rhinestones are on the retirement list and are currently sold out, they WILL be in the new catalogue, just in a different configuration. Available as an individual item June 1.